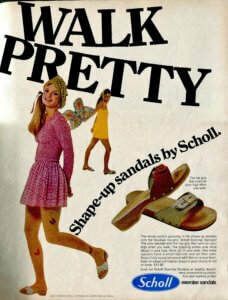 Musings from Marilyn » Walk Pretty in Vintage 1970 Scholl Shape-up Sandals! Posted May 11, 2017 by finnfemme & filed under Fashion, Vintage. 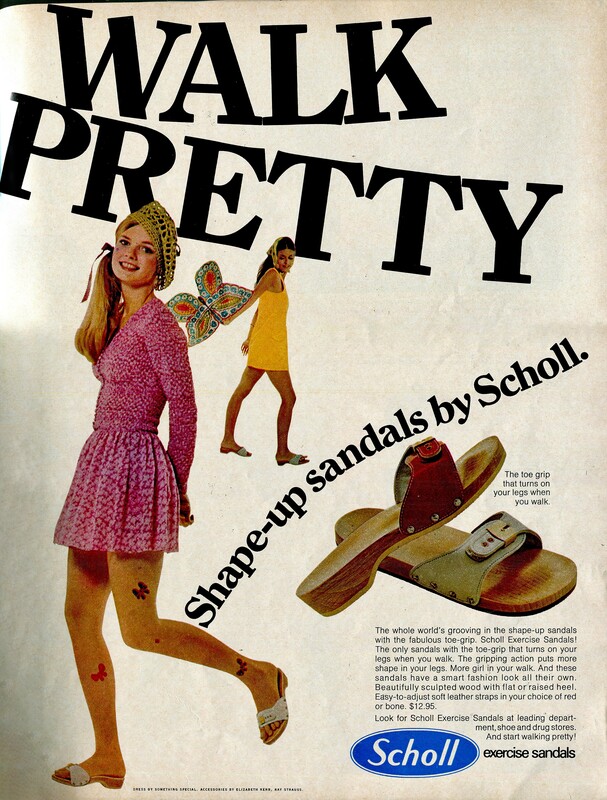 Dr. Scholl’s Exercise Sandals have been around for a long time. At least 47 years if you go by this June 1970 ad from Seventeen Magazine! I am struck with how current the model in the short pink dress, tattoos, and crocheted hat looks. 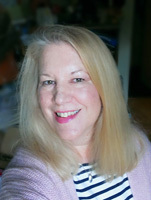 She would look right in style today, without looking particularly vintage-y. These original Shape-up sandals were made out of sculpted wood, with leather straps. The defining feature was the toe grip, which caused you to grip mightily onto the sandals. This gripping action was supposed to exercise and put more shape in your legs. They came in flat or raised heel, and in red or bone colors. Of course I had a pair in the 1970s. I wore them occasionally but found the solid wood very heavy, the strap inadequate, and they were very hard to walk in. Which, I guess, was the whole point of the sandal. It was more Walk Clunky than Walk Pretty. I much preferred regular sandals, or regular clogs if I wanted a wooden base. At least there was some stability with those!